Scotch® High Tack Box Sealing Tape 3743 is a packaging tape designed with a heavy-duty, conformable backing. 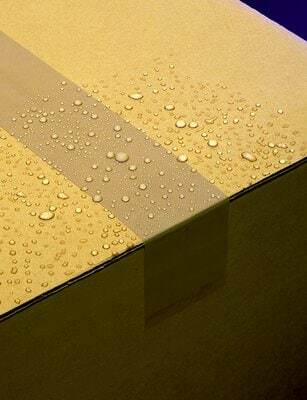 We constructed this box sealing tape with a high-tack, pressure sensitive adhesive system. This construction assures high performance in a wide range of environments for many applications, especially where high initial adhesion is needed, such as on recycled fiberboard. Scotch® High Tack Box Sealing Tape 3743 bonds instantly in applications involving hard-to-stick-to surfaces such as recycled or coated corrugated. Our 2.6 mil polypropylene tape is constructed with a synthetic rubber, hot melt adhesive system that offers excellent adhesion. This high-tack adhesive system ensures reliable and secure closures. The tough, polypropylene film backing resists abrasion, moisture, chemicals and scuffing, making this tape an exceptional solution for a variety of applications. 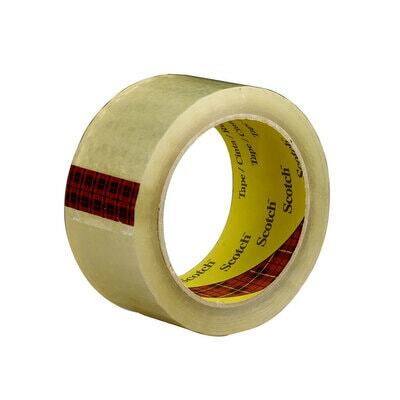 Scotch® High Tack Box Sealing Tape 3743 is popularly used for overseas and export shipping and is an effective solution in many markets such as the food and beverage, medical, pharmaceutical, paper, print and electronics industries. Designed with a heavy-duty, polypropylene film backing, Scotch® High Tack Box Sealing Tape 3743 retains its strength, for a safe, secure and dry seal throughout the supply chain. Polypropylene is tough yet flexible and helps maintain a strong seal over box seams, edges and corners with a tensile strength of 30 lb./inch in machine direction and 60 lb./inch in cross direction. The polypropylene backing is biaxially oriented and therefore easy to handle and dispense for fast, efficient packaging operations. The tape unwinds smoothly and easily from the roll for controlled dispensing. The tape can be applied with a portable hand-held dispenser or stationary definite length dispenser. For a durable, dependable high tack sealing tape, Scotch® High Tack Box Sealing Tape 3743 is an exceptional solution, ready to meet the demands of the industry. We engineered this tape to be tough and resilient, capable of withstanding many environmental elements. You can depend on our design to remain hardy for the long haul.